Bone marrow is the tissue located in the middle of the bones of the body. 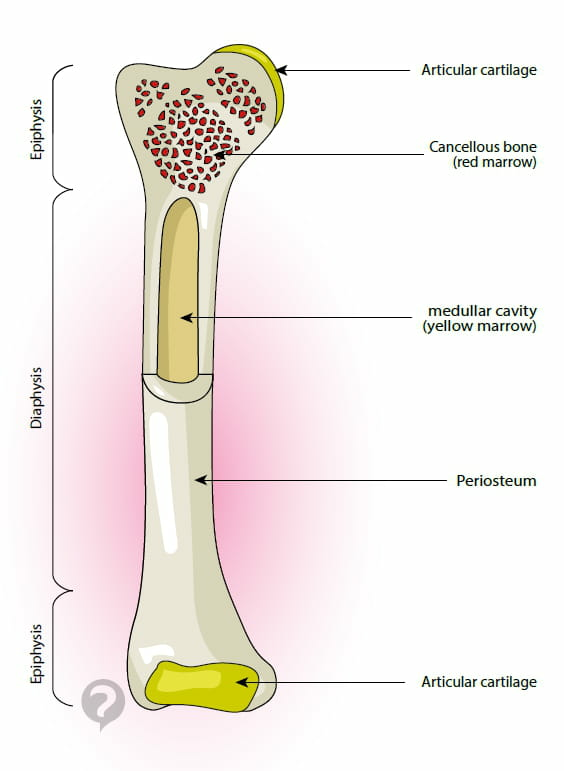 There are two types of bone marrow: red marrow and yellow marrow. The red bone marrow is active, playing a major role in the formation of red blood cells, platelets, and immune cells that come into play in the defense of the body. The red marrow is active in all the bones in young children, but the activity of the bone marrow decreases over time and, in adults, is only active in certain short or flat bones, called cancellous. In other long bones, a central cavity called the medullary cavity has a fatty composition: this is the yellow marrow. Original article published by Jean-François Pillou. Translated by Jean-François Pillou. Latest update on August 19, 2014 at 12:25 PM by christelle.b. This document, titled "Bone marrow - Definition," is available under the Creative Commons license. Any copy, reuse, or modification of the content should be sufficiently credited to CCM Health (health.ccm.net).